Can you elaborate exactly what you mean? Well just because art is mainly collected and admired by the rich, does that mean we can’t admire it too? Or are you against the subject matter? Are you against art about death, for example, because that is what Hirst’s artwork is about? 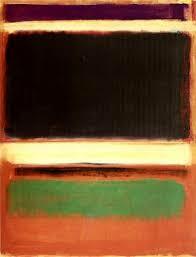 Rothko’s art is semi-religious and mythical, does that matter higher than Hirst’s works on death? Or isn’t it because Rothko’s work concentrates on finding a spiritual home separate from class antagonisms and commodification, while Hirst’s art is not political, isn’t that why you hate it so much?